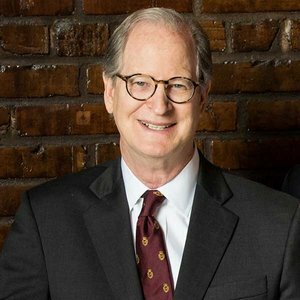 Dr. Glenn Davis is board-certified by the American Board of Plastic Surgeons and has been Raleigh’s trusted surgeon for more than 20 years. He has performed more breast augmentations than any other surgeon in or around Raleigh. Dr. Davis was recently recognized as an IDEAL IMPLANT Preferred Surgeon due to his extensive expertise working with IDEAL IMPLANT® Structured Breast Implants, the latest technology in breast augmentation. With a unique structure surrounding these saline-filled implants, women can achieve beautiful results with zero risk of silent rupture. Dr. Davis uses the IDEAL IMPLANT to help women look and feel their best. With the IDEAL IMPLANT, no expensive MRIs are needed, and they come with a lower risk of both capsule contracture and ruptures when compared to other implants. "It was the best thing I’ve ever done for myself!" "I’ve never felt such thorough care from a group of people"
"An incredible level of experience, care and service"
"Wonderful experience, surgeon and results!" "I am so happy with the results"
"I am beyond thrilled with my results"
"You’ll love your experience as well as your results"